I’ve been using a set of .44 Diverse springs in my forks for a while now. I’ve got two other sets of springs that I’m unsure of their rate. 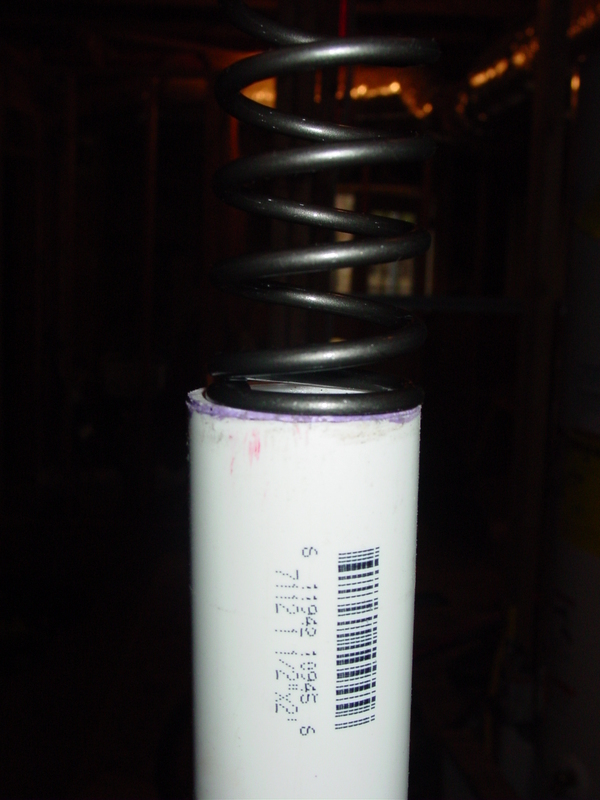 A trip to Home Depot and ~$8 later, I’ve got what I need to measure the spring rates of those other two sets of springs. 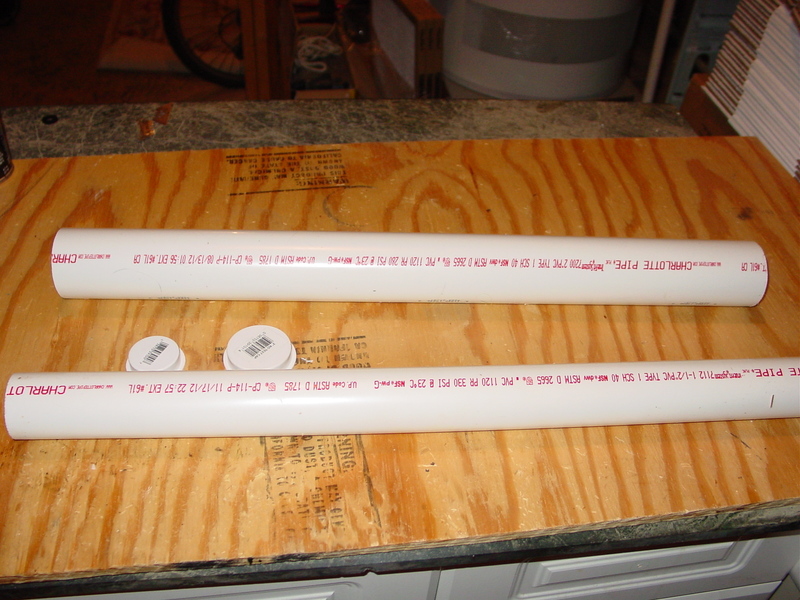 I bought a short section of 1 1/2″ and 2″ pvc pipe along with the corresponding test cap fittings. 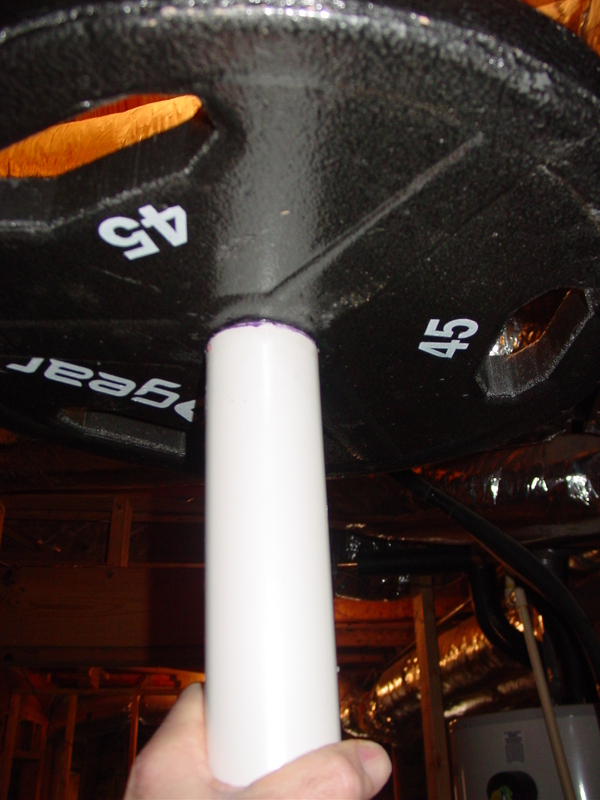 If I flip/invert the test cap for the 2″ pipe, it fits perfectly into the center of my test weight. Glue up the cap for the 1 1/2 pipe as normal. But flip/invert the cap for the 2″ pipe. I stacked a few weights as a base. 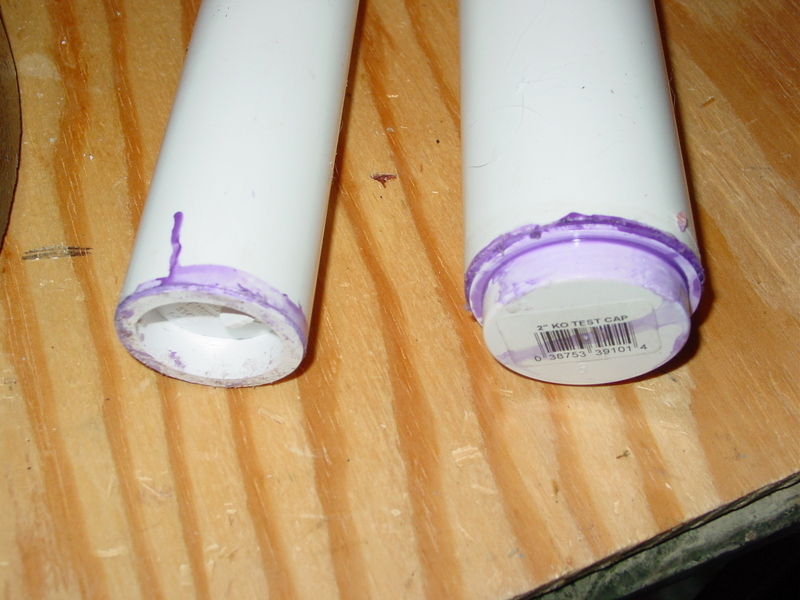 The 1 1/2″ pipe fits inside the holes. 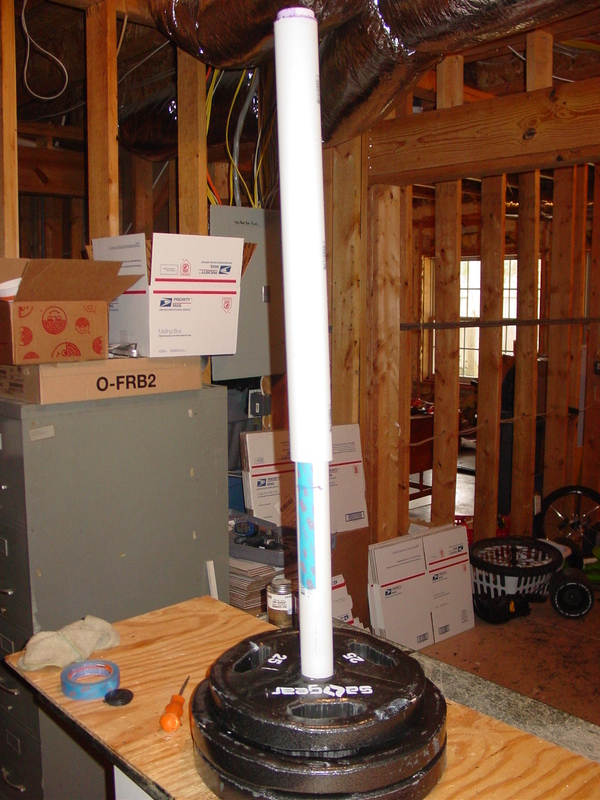 With the 1 1/2 pipe standing upright, the spring sits on top of it and then the 2″ pipe slides over the top. Below is what the whole thing looks like with the spring inside. 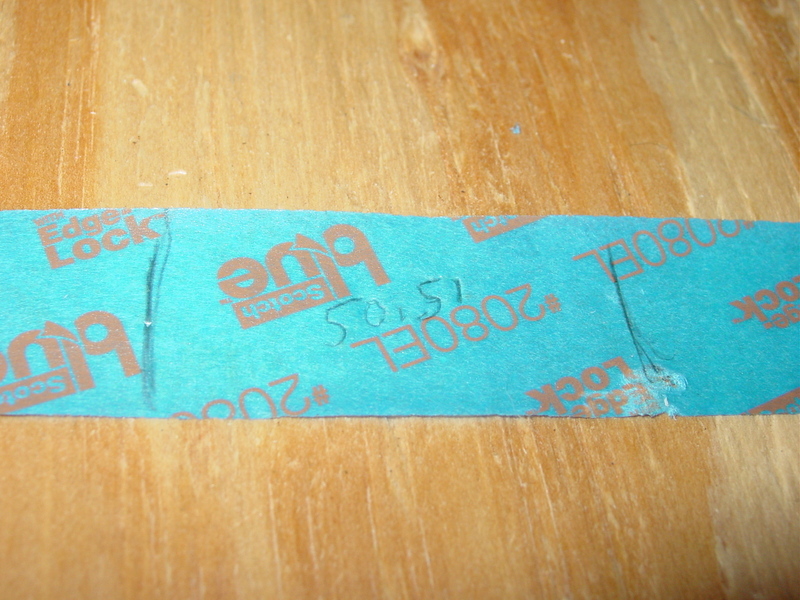 I added some tape to the 1 1/2 pipe and marked a reference line where the lower edge of the 2″ tube meets the 1 1/2 pipe. 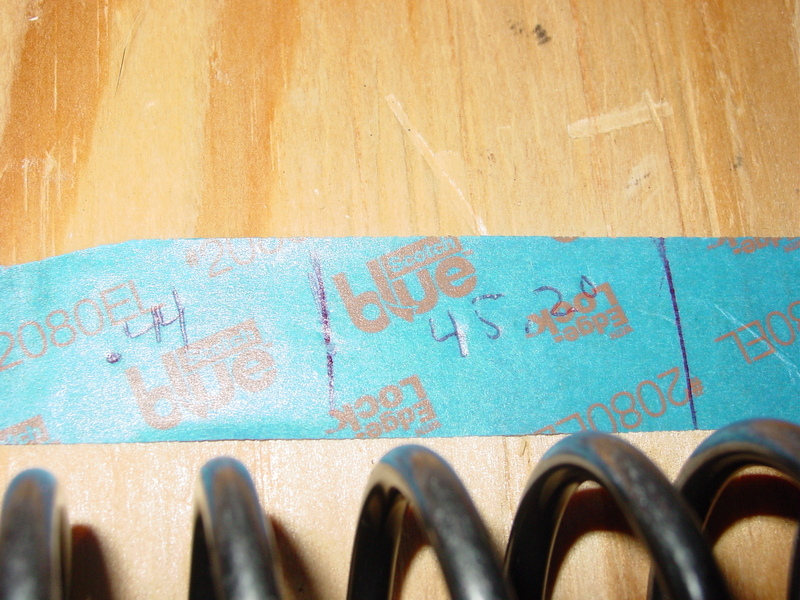 This reference line is made with only the weight of the pvc resting on the spring. 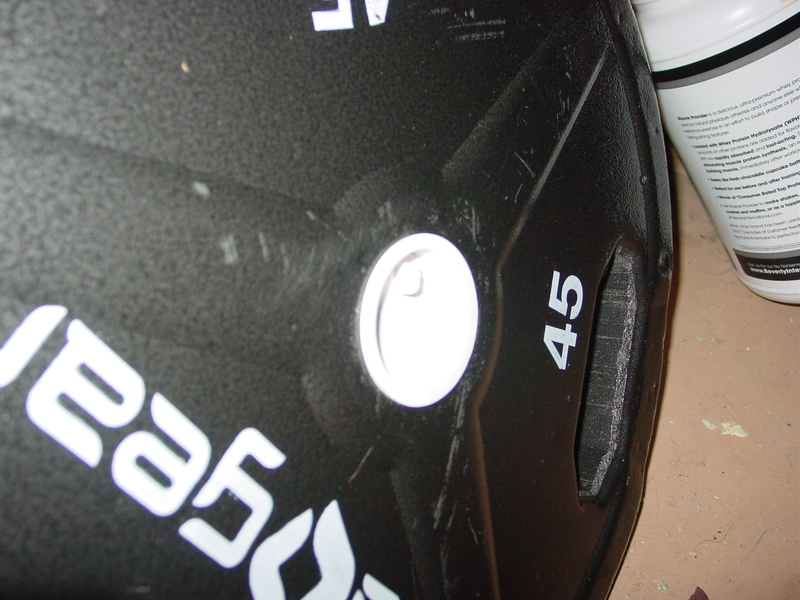 Now the weight goes on top and ‘catches’ on that inverted test cap. Saying that this set-up is top heavy and unstable is an understatement! Fortunately I can mark the next line with one hand and hold the top with the other. This 45 lb weight measured 45 lb 3 oz on the bathroom scale. Even if the scale was correct, I wasn’t going to worry about the 3 oz because I’m simply trying to determine the approximate rates of these unknown sets of springs. So my 45 lb weight is 20 kg for the calculations. With the weight on top, I bounced and rotated the top assembly several times to try to account for the friction of the pvc pipe. I did this procedure for the springs that came with the forks (top). I’ve always assumed these were factory and .48’s. 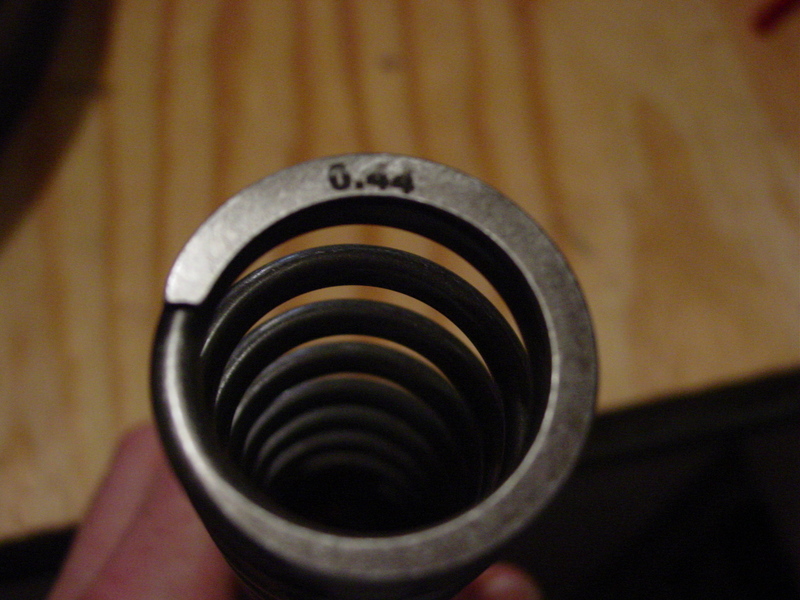 Then I tested the .44 Diverse springs (bottom). I did the math on the .44’s to see if my set-up was even close. 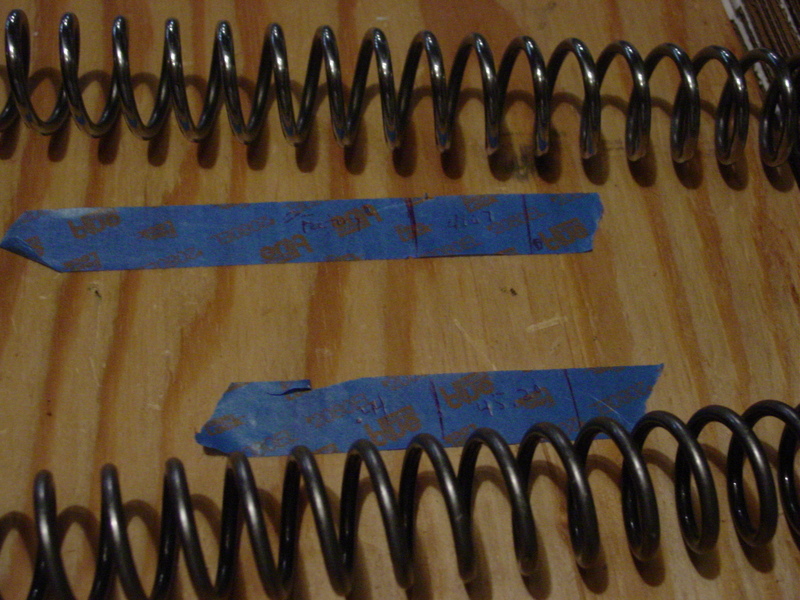 Since the system seems to work, time to find out if the springs that I polished that came with the forks were factory. The next springs are the ones currently in the forks. 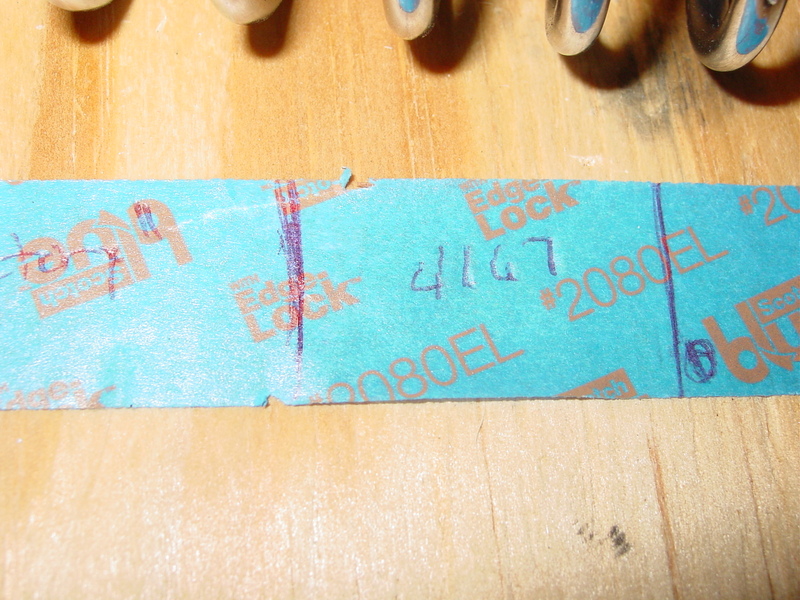 These are from my old KX forks. They are either .40 or .42.